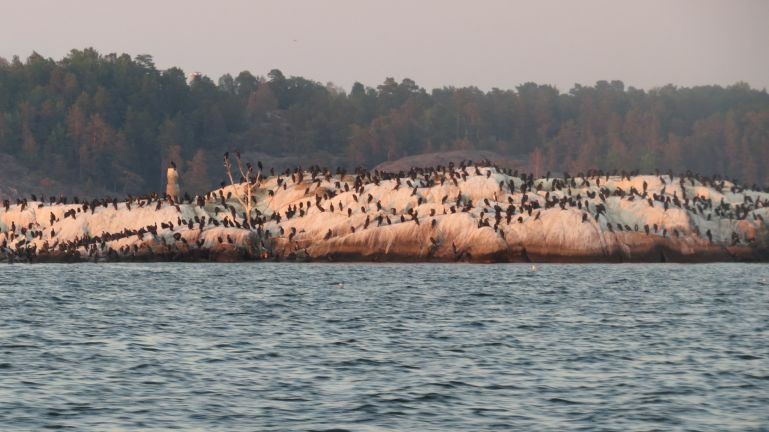 An island full of cormorants. The cormorant is disliked by many in Sweden, as it is seen as fish thief. Maybe also because site for a cormorant colony looks like this after a while.